Product Note: The limited edition lithograph has SOLD OUT as of November 16, 2018. Horror master John Carpenter (Halloween, Escape From New York) delivers "a masterful exercise in claustrophobic suspense… [with] elaborate special effects [that] set a high standard for films that followed" (TV Guide). 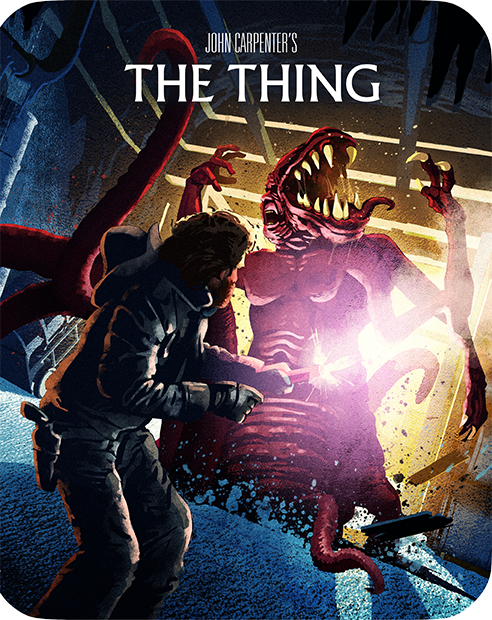 Kurt Russell's iconic and tense performance drives this chilling version of the classic The Thing. In the winter of 1982, a twelve-man research team at a remote Antarctic research station discovers an alien buried in the snow for over 100,000 years. 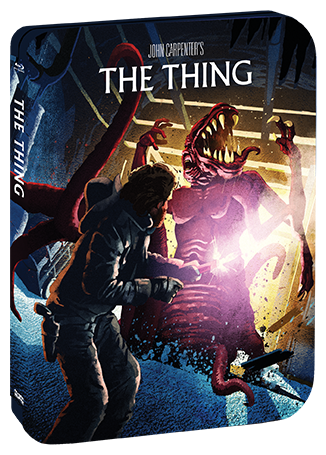 Soon unfrozen, the form-changing alien wreaks havoc, creates terror… and becomes one of them.